Looking at the Facts and Building a Game Plan. This week and next the University of Nebraska-Lincoln, Department of Agricultural Leadership, Education and Communication, is hosting a CASE Institute, Principles of Agricultural Science-Plant. It’s exciting to have secondary agricultural educators on campus from not only Nebraska but Washington, New Jersey and Iowa. The synergy created by their enthusiasm for the CASE curriculum is reassuring for the future of agricultural education. Many of the institute participants represent traditional single teacher programs; however, five teachers from The Omaha Bryan Academy for Agricultural Science are also participating. The Academy is an Omaha Public School magnet program offered within Omaha Bryan High School (1700 enrollment). The Academy teachers represent core subject areas of English, history, science and special education as well as agricultural science. Their approach of investigating agricultural science for applied instruction within academic core areas creates an even more innovative atmosphere. As I observe and experience the enthusiasm of professional development emanating from this Institute, the importance of recruiting and retaining quality teachers of agricultural education comes to the fore front. I am reminded of one of the leading topics from our January National Ag Ed Summit, “Looking at the Facts and Building a Game Plan.” Since January, this year’s supply and demand facts have materialized, and within states, we are either in situations of surplus, balance or deficit regarding the supply of teachers. Regardless of your state’s particular situation, I hope your state leadership has built or is building a game plan. An intended outcome of the Summit was that (1) each state would create a goal set addressing recruitment and retention within their state, (2) attach an action(s) intended for achieving the goal set, and (3) within the State’s Team Ag Ed, identify member responsibility toward achieving the goal set. Congratulations, if you’re aware of and involved with supporting your state’s goal set. If you’re not aware and would like to be actively involved, I suggest you contact a key state leader (i.e. state staff, teacher leader, teacher educator, etc.) for information on how you can support your state plan. Your energy and ideas are necessary for progress toward recruiting and retaining the best and brightest. Together, we can experience success and share those strategies as best practices for the benefit of recruiting and retaining quality teachers of agricultural education. Our friends in Louisville, Ky., highlight ways to make the 86th National FFA Convention & Expo a fun and safe event. Watch now! And be sure to stay up-to-date on convention and expo news withwww.FFA.org/convention. The National Teach Ag Campaign is pleased to offer grant stipends once again to help state and local initiatives related to the recruitment and retention of school based agriculture teachers. Grants will be reviewed and awarded throughout the year based on impact and available grant dollars. Poll: As an Ag Teacher and FFA Advisor, What's Your Favorite Part of the Year? Friday, July 12, 2013: Fireworks continue in the ag world with controversial issues like Meatless Mondays and Farm Bill banter. This week’s links include ag news, opinions, and oddities. Speaking on the Senate floor yesterday during a debate on fixing the student loan interest rate, Senator Marco Rubio (R-FL) lauded the merits of career and technical education as a key part of any "fix" to the higher education system. Know someone who would make a good Nominating Committee representative? Submit them to FFA by August 1 for consideration. Simply fill out this Nominating Committee Potential Representative form. Agriculture programs in the northwestern corner of Washington state have a great community partner in Marshall Judy. An experienced welder, Judy often performs safety demonstrations and presentations at various high schools and colleges in the area, and also helps troubleshoot and set up new welding equipment. 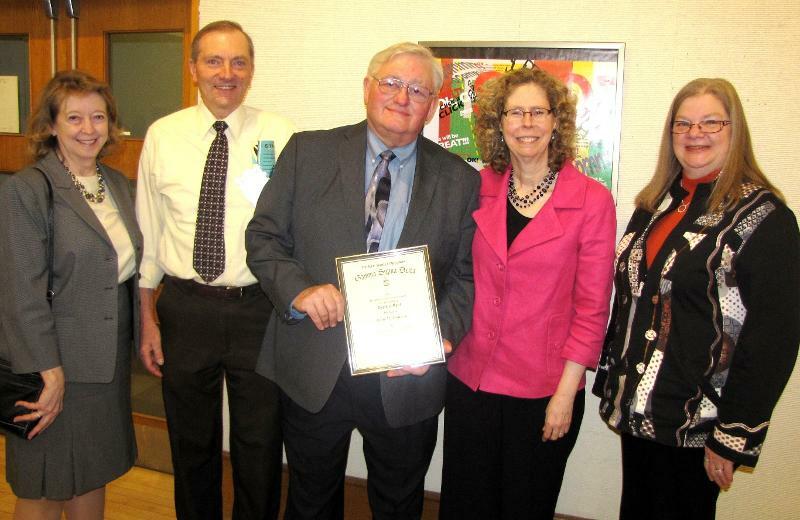 Judy recieved the 2012 Outstanding Cooperation award for Region I.Read more about his contributions to agricultural education. What Can Make my Life Easier in the Greenhouse? CTE Research Review: Work Readiness in the U.S.
A higher level of education does not always guarantee work readiness. There is no significant gap between the skills needed for middle level education jobs and the skills possessed by middle level education examinees. Education level is not always aligned with work readiness levels. Please save the date to attend the 2014 National Ag Ed Summit and FFA Inservice January 28-30, 2014 in Indianapolis, Indiana. The theme for the Ag Ed Summit portion of the event will be SAE Renewal. The Council would like to see many state Team AgEd members make the trip and be present to discuss how we reinvigorate the SAE component of our agricultural education program striving to have all students involved in experiential learning that enhances their college and career readiness. The National FFA Inservice portion of the event will focus on updates and revisions taking place to National FFA programs and services in the coming year and will be facilitated by National FFA Staff. If you are unable to attend the conference in person we will again facilitate the conference in an online format to allow those who cannot travel to Indianapolis the ability to watch and listen to the conference live or at a later time through recorded videos. Please be on the lookout in the coming months for further information regarding the full agenda and pricing for this year’s conference. NAAE Convention - Early Bird Registration Ends July 12! Taking a Family Vacation This Summer? NAAE members get a 15 percent discount at Choice Hotels International. Check the back of your membership card for details and discount code. Vet Science Flashcards available as an app! Friday, June 21, 2013: CAST releases the controversial Precautionary Principle publication—lots of buzz and reaction. This week’s links include ag news, opinions, and oddities. Have an FFA member in your chapter with some musical talents? Make sure they apply to be a part of the National FFA Band, Chorus and Talent at the 86th National FFA Convention & Expo in Louisville. New this year: the first National FFA Talent competition! The application deadline has been extended to July 15. If there’s one thing FFA members are always encouraged to do, it’s write thank you letters. National FFA Southern Region Vice President Wiley Bailey explains why notes of thanks are important and what it takes to write an awesome letter. Watch now! STEM is portrayed as the arena of the highly educated-bachelor's and advanced degree holders-but a recent Brookings report shares that half of STEM jobs are for workers with less than a four-year degree. CTE educates youth and adults for many of the occupations described inThe Hidden STEM Economy. Is teacher prep a major headline issue for Secretary Duncan? (Spoiler alert: Yes.) What does he see as exemplars in the traditional and alternative models? How can we attract, support, and retain people who will become excellent teachers? Check it out. 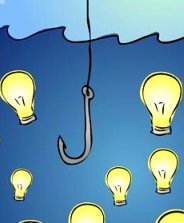 "Education is like rowing upstream - not to advance is to drop back." NAAE Convention - Early Bird Registration Ends in Two Weeks! Attending Regional Conference? Be sure to join your Regional Conference group on Communities of Practice. From the group you'll be able to access conference materials before, during and after the meeting, and you'll also be able to connect with others attending the conference. Visit here for links to each conference's group page. The Moore FFA Chapter from Moore, Okla., one of the cities hardest hit by recent tornados, is organizing FFA Work Days June 25 - 26 for chapters that would like to assist with clean up. Any FFA chapter interested in traveling to the Moore area to help can register here(registering will give the clean-up coordinators an estimate on the number of volunteers scheduled to attend). Chapters can choose to sign up for both days, one day or stay longer if they wish to help out in several locations around Oklahoma. If you are not able to volunteer but still want to help, please make donations to the American Red Cross with the designation of Oklahoma tornado relief. During the FFA Work Days, Moore FFA will provide lunch for volunteers (note any special dietary needs/food allergies in the comments box). Moore FFA will also hold a cookout/dance at their school farm on the night of Tuesday, June 25. The local La Quinta Inn in Moore (2140 Riverwalk Drive, 405-759-7700) is providing chapters with an FFA rate of $82.50/night. Chapters will need to bring a copy of their tax exemption status. If you need further assistance finding hotel rooms or lodging, contact Carrie Jacobs, FFA advisor, Moore High School, 405-735-4758. The official FFA jacket was introduced and accepted by the delegates at the 1933 National FFA Convention. So if you do the math, this fall, we will celebrate the 80th anniversary of the blue corduroy jacket we all love so much! We're planning a big story in FFA New Horizons about the jacket, and we want your help! Tell us your feelings about the FFA jacket - in words, photos or video. The best responses will be featured in the print magazine, in our mobile app, and on the New Horizons website. Visit FFA New Horizons to learn more. Friday, June 21, 2013: The World Food Prize goes biotech, the Farm Bill goes belly-up, and the Peterson Brothers go for another parody. This week's links include ag news, opinions, and oddities. We’re looking for talented individuals to help us backstage in Louisville, Ky.! Deadline: Monday, July 1. Apply here. There’s still time to sign up for the Alumni Development Conference in Green Bay, Wisconsin July 17-20! Visit the ADC homepage before June 28 to register. All FFA Alumni members are encouraged to attend. Just graduated from high school and looking for a way to stay connected to FFA? Try FFA Link, an exclusive group of college students and young professionals connecting their love of agriculture with real-world career skills. To learn more, click here. Attending Regional Conference? Be sure to join your Regional Conference group on Communities of Practice. From the group you’ll be able to access conference materials before, during and after the meeting, and you’ll also be able to connect with others attending the conference. Visit here for links to each conference’s group page. How Can I Do More in the Greenhouse at a 1A School? Is your POA really a POS? Friday, June 14, 2013: The Farm Bill gets sparkin’, GMO debates keep growin’, and Big Data hits agriculture. This week’s links include ag news, opinions, and oddities. CASE is pleased to announce the recipients of DuPont Pioneer implementation grants and CASE Institute scholarships for 2013. Recipients will use these grants and scholarships to purchase equipment, end-of-course assessment accounts for students, or to attend a CASE Institute. For a complete list of recipients and awards,visit this link.CASE wants to thank all the sponsors who have helped teachers offset the costs of implementing CASE through scholarships and grants. All of these partnerships are special projects of the National FFA Foundation. Friday, April 26, 2013: The new Ag quickCAST publications should benefit teachers and students who need concise research coverage of ag issues. These are available free, and this week’s edition includes many ag-related links on various topics. Read Friday Notes.Check out these and many ag-related links on The Council for Agricultural Science and Technology's (CAST) website.CAST's weekly online newsletter, Friday Notes, is available due to a grant from WinField (a Land O'Lakes company). NAAE Award Applications Due May 15! The National Teach Ag Campaign is now accepting Teach Ag Ambassador applications from current agricultural education majors. For more details and application requirements visit this link. Applications are due electronically by 11:59pm EST on April 30th. Contact Ellen Thompson, National Teach Ag Campaign Coordinator if you have questions. How important is an SAE in the success of an agriculture/FFA student? View archived CTE Monthly newsletters and other advocacy resources on our Advocacy Tools Web page. Today the U.S. Department of Education (ED) will release the Obama Administration's blueprint for elevating and transforming the teaching profession, also known as the Blueprint for RESPECT (Recognizing Educational Success, Professional Excellence, and Collaborative Teaching). What blogs do you read for professional growth? Friday, April 19, 2013: This special Earth Day edition features a free publication offer and stories about the environment, ag controversies, some humor sites, and piece about a 105 year old bacon fanatic. ReadFriday Notes. Check out these and many ag-related links on The Council for Agricultural Science and Technology's (CAST) website. CAST's weekly online newsletter, Friday Notes, is available due to a grant from WinField (a Land O'Lakes company). If you haven?t already discovered CAST Friday Notes through the Monday Morning Monitor, take a minute to read last week?s edition below. It focuses on students as some prepare to graduate and all benefit from learning more about agriculture and communication. There is one particularly interesting story about two teenage daughters who lifted a tractor off their trapped father. John Bonner received the Distinguished Achievement in Agriculture Award from the Iowa State University Gamma Sigma Delta Organization on April 11. Dr. Bonner was CAST's EVP/CEO from 2005 until January of 2013. He is pictured above with, left to right, Linda Chimenti (CAST EVP), Don Beitz (ISU professor and CAST Past President), Bonner, Wendy Wintersteen (ISU Dean of CALS and CAST Trustee), and Sandee Bonner. Nominate an individual under 40 years old for the Norman Borlaug Award for Field Research and Application organized by the World Food Prize Foundation--nominations due June 30.Information HERE. This webinar will review the scientific literature regarding the composition and safety of food and feed from genetically engineered plants and animals. It features two experts who have been Task Force chairs for CAST publications--Dr. Bruce Chassy of the University of Illinois and Dr. Alison Van Eenennaam of the University of California-Davis. Activists at the Door--Protecting Animals, Farms, Food & Consumer Confidence. This site offers a curriculum for high school students--Toward a Sustainable Agriculture. This site provides information about a 4-Hvideo challenge--with $1,000 for the winner. The Golden ARC de Excellence Award--recognizing the best all-around entry in the campaign division--went to the American Farm Bureau Federation for the public affairs entry "Estate Tax Campaign." For Graduates, Maybe the Key Word is "Agriculture" Not "Plastics"
As the school year closes, many students will be entering the job market for the long haul. When receiving advice about the future, a young person nowadays might hear the word "agriculture" in place of the iconic "plastics" statement made famous in the classic movieThe Graduate. As has been reported repeatedly in Friday Notes, the outlook for ag-related employment is positive, but that still does not make it easy. ** What will ag look like in 2043? This writer gives us an overview. ** Calling All Young Farmers: The 2007 Census of Agriculture shows a 21% drop in the number of farmers younger than 45, while the over-65 group grew by 18%. ** For those of you still working on research papers, check this out. A Ph.D. candidate in entomology at the University of California-Davis shows us how to turn stick bug research into a lively, animated video. ** Although agriculture has traditionally been defined by the production of plants and animals, today science and technology have added new areas of research and investigation to the agriculture field. 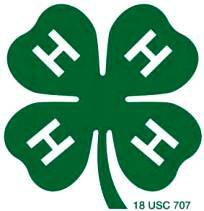 The 4-H AgriScience curriculum demonstrates that shift. 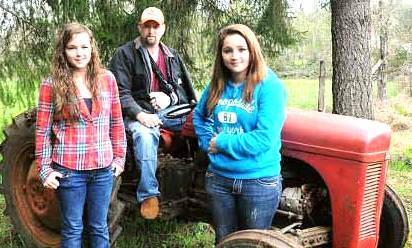 ** And in a realdemonstration of Youth Power, a farmer was saved by his two teenage daughters after they somehow lifted a 3,000-pound tractor off of him--video included. Food Aid: Respected experts Catherine Bertini and Dan Glickman write about the opportunities the United States has to provide even more food to the hungry while spending fewer taxpayer dollars in the years ahead. Meaty Issues: A report from the Cleveland Clinic suggests a link between the consumption of red meat and heart disease due to a nutrient call carnitine--video included. However, the American Meat Institute says an attempt to link cardiovascular disease to a single compound that is found at safe levels in red meat oversimplifies this complex disease, and consumers who enjoy red meatshould continue to do so with confidence. GMO Follow-up: In Canada, a group is organizing opposition to genetically modified alfalfa--video included. However, many are promoting pro-GMO anglesalso, as this blog demonstrates. 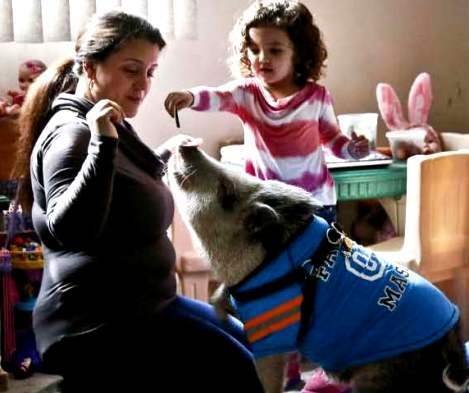 Pigs in a High-rise Poke: New York City's health code forbids keeping pigs as pets, forcing owners to operate in secret, hoping that unhappy neighbors won't squeal. Going Baaaack to the Eiffel Tower: The Paris City Council launches a pilot project toreplace lawnmowers with sheepin the French capital's public spaces. Ten Terrifying Plants: Previous lists have addressed some rather potent plant poisons, but this list looks at killer plantson an entirely new level of lethality. We have not been able to confirm that Ferris Bueller is now a grain commodities trader at the Chicago Board of Trade--but you never know. *** Through the National Association of Agricultural Educators and the excellent Monday Morning Monitor e-publication, CAST reaches high school educators, students, FFA officials, and others involved with education. Check their site for information, videos, and resources. *** CAST goes collegiate through its Education Program, a membership option that makes it easy for universities to benefit from CAST material. Eight respected universities--all with agricultural roots and expertise--belong to the program: Arkansas, California-Davis, Florida, Iowa State, Kansas State, Nebraska, Ohio State, and Texas A&M. Ag-related information and research from these schools regularly appears inFriday Notes links. CAST's Pinterest page offers a variety of agriculturally based categories such as food and food safety, animals, plants and gardens, flowers, ag humor, agriculture for kids, all of our CAST blogs, and a miscellaneous category where you can find all kinds of ag-related facts. Since joining Pinterest during the summer of 2012, CAST's page has more than 550 pins and a little more than 300 followers. CAST's Facebook page features the popular "CAST Catch of the Day," with articles ranging from young farmer programs to biotech crops to adorable animal pictures. The site offers free downloads of CAST research publications as well as entertaining stories and links. 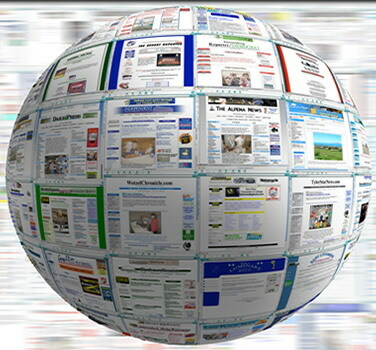 CAST's website provides many resources, and its nearly 40,000 hits include visitors from around the world. Two of CAST's recent publications have been translated into Spanish, and they are available on the website, along with four earlier Spanish translations. CAST's Twitter account has recently been listed as one of the Twenty Must Follow Twitter Accounts of Agriculture. It's a good way to keep up with ag if your life is just too busy to handle 141 characters at a time. 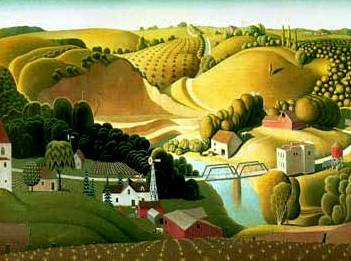 CAST's blog site offers a different look at agriculture "now, then, and maybe never." The current entry looks at "Guns, Farms, and Bugs Bunny," and it mentions the Keanu Reeves Matrix System for Bullet Avoidance. 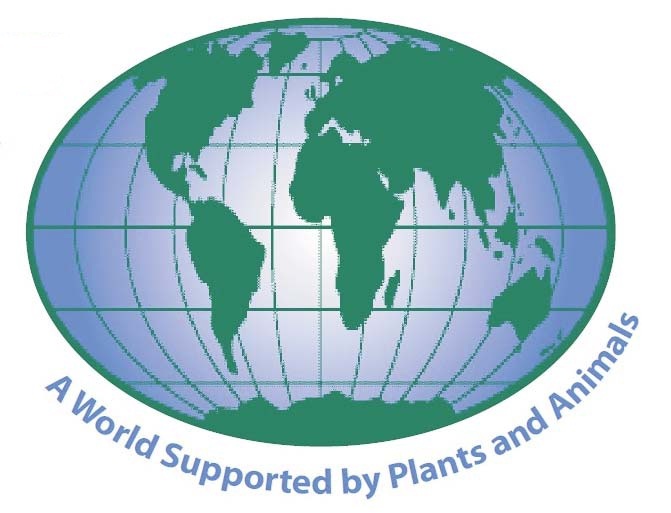 Photos courtesy of the Agricultural Research Service (top masthead); TopLatest News (globe at right); newyorknewsgiro.com (Animal Agriculture News); northrup.org (General Interest News). P.1 Graduation caps pic from 123rf.com, tractor pic from abcnews.com, pet pig pic from apphotos. P.2 Bueller pic from sgclark.com. Child pic in Food Sec. from businessinsider.com. Capitol photo in Meyers Section from J. Bonner. Unless otherwise noted, photos courtesy of the USDA Agricultural Research Service. 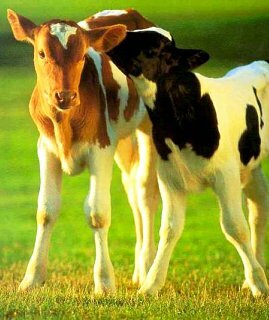 Dairy Power (video): This site provides many items about dairy farming. Scroll down on their page to watch how one Indiana dairy farmer saves money and helps the farm be more sustainable and eco-friendly. Genetic Links and Cattle Diseases: Detecting the costly, contagious Johne's diseasein cattle is now easier, thanks to USDA scientists. Cameras, Livestock, and Laws: A legal twist has developed in the effort to ban camerasfrom livestock operations. The Other White Meat--Filet Mignon? The National Pork Board and Beef Checkoff Program propose the new names to make it easier for consumers to identify meat cuts. Specialized Beef--Challenges and Opportunities: The majority of U.S. beef comes from conventional systems, but some consumers prefer beefwith claims of organic, grass-finished, or local production. Brazil Beef Bump: Brazil's beef exports jumped25% in the first quarter of 2013 compared with the same period a year earlier. Hello Dolly: At least a dozen different species have been clonedsince Dolly the sheep--everything from the common cow to the endangered guar, a type of wild ox. This article examines the science behind cloning. Long-lived Animals: This photo collection includes animals with incredibly long life spans--from a 200-year-old whale to an even older tortoise. Road Kill: The Montana state senate has passed a bill that would allow residents to help clear carnage from roads by salvaging the meatof deer, elk, and moose killed by vehicles. Buckeye Sheep Expertise: A series of educational workshops held online by Ohio State University Extension experts geared toward sheep and goat farmers draws a wide audience. Rotted Tea Leaves and Prison (video): Only an off-beat travel writer could interview an ex-convict in Myanmar and explain why a salad of fermented tea leavesis delicious. Healthy Fast Food (video): This Massachusetts food outlet claims to be able to serve six to ten customers a minute and make a healthy meal in three-and-a-half minutesflat. 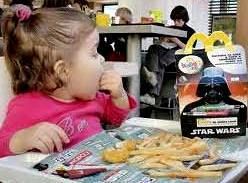 Obesity on the Menu (opinion): According to this report, 97% of nearly 3,500 kids' meals analyzeddon't meet basic nutritional standards. Heat Kills--Freezing Slows: As evidenced by a recent E. coli outbreak, freezing fooddoesn't necessarily kill nasty microbes--it just slows them down. Baby Food in Court: The country's largest baby food makers face a California lawsuit by an environmental group aimed at forcing them to alert consumers about low amounts of lead in some products. Ranger Danger: A new food concession at the Texas Rangers' ballpark serves only food that is 2 feet longor weighs 24 ounces. Hunger Pangs: These students will live for a week on the daily allotment given to food stamp recipients. Waste Control: According to this Kansas State University expert, in many developing countries up to half of the food harvested from farmers' fields is lost before reaching consumers. Natural Planting: Replanting northwest Nebraska after last year's wildfires just got a little easier, as the Nebraska Game and Parks Commission plans to feed seeds to animals. Nitrogen Sources: Scientists in Brazil find that nitrous-oxide emissions from sugarcane fields vary depending on the nitrogen source employed as a fertilizer. Nutrient Producing Corn? (also see above): Researchers at Aarhus University are involved in the efforts to develop maize that can create its own fertilizer. Related Publication (above): The recently released CAST Issue Paper, Food, Fuel, and Plant Nutrient Use in the Future, has been retweeted and downloaded often. Plants on the March: The face of the Arctic is changing as plant growth flourishes further north than before. Bean-Boosting Ideas: While the U.S. soybean yield averages 45 bushels per acre, research shows results could be much higher. This seed company encourages row spacing to reach greater yields. Weed Whacking: An Iowa State University expert recommends seven steps for managing resistant weeds in corn and soybeans. 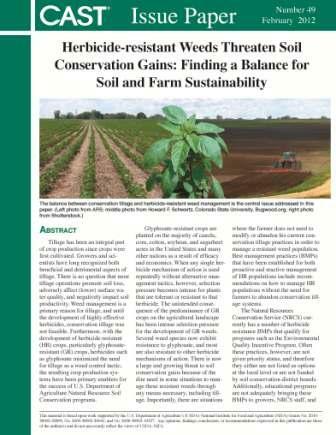 Related CAST Publication (above): Herbicide-resistant Weeds Threaten Soil Conservation Gains: Finding a Balance for Soil and Farm Sustainability. Plant Water Use: A new study indicates the immense amount of freshwater used by plants and its movement during their life cycle has significant implications for predictions about climate change. Micromanaged Planting: This farmer recommends strip-till practices--preparing narrow seedbeds and applying seed and fertilizer precisely usingsatellite-based technology accurate to less than an inch. Safety Planning for Planting: This expert provides safety tips for plantingseason. Infrastructure Challenges (video): Brazil's prospects of surpassing the United States as the world's top soybean exporter are being frustrated by congestion at the country's ports. Lucky Charms: In India, fraudsters are conning people by selling them animals or charms, promising that the animals will bring them luck and money. 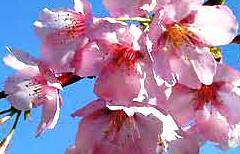 Spring may be late in parts of the United States, but blossoms are out in much of the Northern Hemisphere. Food Labels: The New Zealand Minister for Food Safety has signed off on abill requiring new food labelingregulations in New Zealand and Australia. Ag in the Land of the Springboks: This South African agriculture expert provides his top ten challenges of agriculture in South Africa. Angolan Ag: Agriculture in Angola, once the world's fourth-biggest coffee producer, is being held back by limited competition, poor facilities, and a lack of cooperation among small-scale farmers. Bird Flu Transparency: Some see a new openness in Chinaafter a novel and lethal strain of bird flu emerged several weeks ago--the reporting is different from a decade ago, when Chinese officials dealt with SARS. Grain Export Boom? A Ukraine ag expert thinks the country could possibly export grainto the amount of 100 million tons. 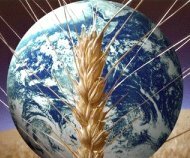 Climate-resilient Wheat: India and the United States will launch a multimillion dollar joint research collaboration to develop wheat varietiesthat can tolerate high temperatures. Cruel Paradox: While more than 870 million people around the world suffer from hunger, more than a half-billion others are obese, according to the United Nations. Invasion of the Cicadas (two videos): This entomologist says cicadas move nutrients about and cause little long-term harm. He also points out that the males make all the noise. All Aboard: The United Soybean Board says investment in the U.S. rail system is necessary to meet agriculture's needs. 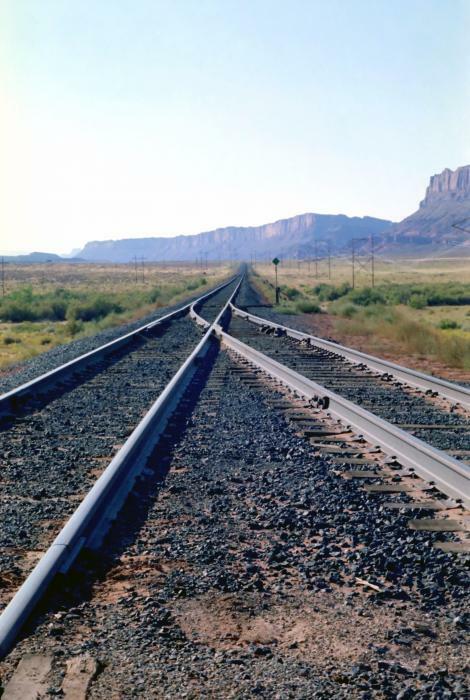 Related Article (above): The Train Has Left the Station--a blog commentary about rural train systems. Bed Bug Remedy: Researchers say that bed bugs could one day be captured using artificial surfaces that mimic bean leaves. Play Ball (short video): Baseball wouldn't be the same without the contributions of America's farmers and ranchers. A cow will be happy to know it produces enough leather to make 12 baseball gloves! 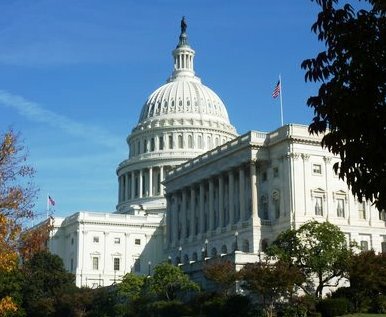 Ag in the Nation's Capital (opinion): This site provides its summary of farm policy news, including the Farm Bill and immigration. Ag Budget Analysis (opinion): AgProfessional.com provides a look at the USDA's 2014 Proposed Budget. Ag Footprint: USDA scientists and their partners provide guidance to growers in Montana and the Dakotas on how they can use agricultural practices to reduce their climate change footprint. Check out CAST videos at the SchoolTube site. Click HERE to view highly regarded ag-science videos about probiotics, food safety, and water issues--or the latest video, The Direct Relationship between Animal Health and Food Safety Outcomes. CAST provides Friday Notes as a benefit to its members. Please do not forward, edit, copy, or distribute the Notes in any form to nonmembers without the express permission of the CAST Executive Vice President Linda Chimenti (lchimenti@cast-science.org). Instead, please encourage your colleagues to join CAST and thereby become eligible for all membership benefits. Contact Colleen Hamilton at 515-292-2125, ext. 224 or chamilton@cast-science.org, or CLICK HERE for CAST membership information. 2014 Education Budget: What’s the Bottom Line? Quote for the Week"Education is the most powerful weapon which you can use to change the world." Congratulations to the 2013 recipients of CASE Institute scholarships, and thank you to the fantastic sponsors who made it possbile for so many teachers to receive CASE training for free or at little cost. All these scholarships were made possible through special projects with the National FFA Foundation.Follow this link for the list of recipients of the Dow AgroSciences, Mosaic, Impact FFA and Red Brand sponsored scholarships. We will announce the DuPont scholarship and grant recipients soon. Way to go, guys! Housatonic's video was chosen because our judges thought it did the best job of showcasing what agricultural education is all about - college and career readiness - in a creative and succinct way. There were so many amazing entries that the judges couldn't stop at one. We also had two honorable mention winners, from Lake Gibson Middle School in Lake Gibson, Florida and Williamstown Independent Schools in Wiliamstown, Kentucky.Follow this link to view all three videos.Thanks to everyone who participated and sent in so many amazing entries! From Friday, April 5 - Genetically modified news, or so it seems with all the GMO buzz. Also a look at the H7N9 bird flu and several good videos of young people and agriculture..Check out these and many ag-related links on Friday Notes. The 2014 National Ag Ed Summit/National FFA Inservice will be January 28-30 in Indianapolis. The meeting will begin at 1 p.m. on Tuesday, January 28 and end at 3 p.m. on Thursday, January 30. Today is the last day to submit an application to be the writer for the new CASE Food Science and Safety course. This is a one-year contract with annual renewal based on performance.For a complete list of requirements and job specifics, please review the application at this link. The anticipated starting date for the contract is June 1, 2013 (variable based on the availability of the successful applicant). Congratulations to Darla Romberger of The Pennsylvania State University and Chelsea Arensdorf of Northwest Missouri State University. Darla and Chelsea were selected for the NAAE Student Member CASE Scholarship provided by “Impact FFA,” a group of women who support school-based agricultural education. The Impact FFA sponsorship is a special project of the National FFA Foundation. Stay tuned for more scholarship announcements in the coming week! Green Bay goes Blue for the FFA Alumni Development Conference, July 17-20! Registration is LIVE but remember, the early bird gets the worm… Early bird registration is available now through May 15. From Friday, March 29 - A new farm parody gives good vibrations from the milking crew, and a pig farmer goes hog wild on the Colbert Report. Antibiotics, GMOs, and horse slaughterhouses are also in the news.Check out these and many ag-related links on Friday Notes. What Does Agricultural Education Look Like in Your State? NAAE is in the process of creating profiles of agricultural education for each of the 50 states. They're a great tool to show people the value of agricultural education programs.We currently have profiles for Georgia, Montana, New Mexico and Oklahoma, and are working on more.We also have a national agricultural education profile, as well as templates for you to take and make a profile for your own ag program.To download profiles and learn more, visit this link. Did you know that NAAE members can get discounted membership in the National Science Teachers' Association? Get $10 off the regular membership fee of $75 when you join NSTA as a NAAE member.Follow this link for details on how to join.Right now, NSTA is offering Professional Development Fellowships to second through fifth-year teachers, so join and take advantage of this unique opportunity! Details about fellowships. ACTE is now accepting nominations for the 2014 ACTE Board of Directors Election. If you're interested in serving your Association in the next generation of its leadership, or you know of a great candidate, follow this link. Applications are due June 15. In an effort to update the profession about the status of The Council for Agricultural Education's SAE Renewal Strategic Goal, I want to share information on a regular basis. The Council held its March face-to-face meeting in Indianapolis last week. The focus of that meeting was on the Council's activities as identified by the New SAE Coordinating Team chaired by Dr. Kirby Barrick. We also provided feedback for actions in progress by other NASAE AND NAAE identified by the Coordinating Team. We reviewed the Coordinating Team report and will provide some guidance on the Council's view on prioritizing the stakeholder activities. recommendations of the Coordinating Team. Each stakeholder group has a responsibility to the overall success of SAE Renewal by addressing their set of activities. As the Council's Goal Leader, I will endeavor to report, monitor and provide assistance to those groups. The New SAE Coordinating Team Report was distributed to each stakeholder group last spring to initiate discussion by each group around their activities as identified by the team. Each stakeholder group needs to develop action steps, target dates and an estimated budget for their activities. The Teacher Educators, through AAAE, have produced a philosophy on SAE Instruction in Agricultural Teacher Education and a list of seven competencies for Ag teacher preparation. The Council has provided feedback on these excellent documents and they will be acted on by AAAE in June 2013. The Council has agreed that we need a person who will work on SAE Renewal every day much like Ellen Thompson does for the Teach Ag Campaign. Discussions are ongoing to develop a position description and funding sources. The Council will form a SAE Renewal Committee to help manage the initiative. Dr. Barrick and I will be identifying individuals for this committee. The 2014 Agricultural Education Summit will be a focused on SAE Renewal. The Council website will be developed to house links to SAE resources. While not solely a SAE Renewal Goal, revision of the National AFNR Content Standards and the National Quality Program Standards are also in the works under another strategic goal lead by Karen Hutchison. Following standards revision, the process of reviewing and revising SAE resources including the SAE Handbook. LPS Guide and the Agriculture Teachers Manual will begin. National FFA staff will be important partners in completing this task. Red Brand, the most recognized brand of farm fence in the United States, has provided funding for 16 teachers to attend a CASE Institute this summer. Recipients of these additional scholarships will be selected from the large pool of teachers who completed the CASE scholarship applications that were due March 15.CASE would like to thank Red Brand for their support, and for making it possible for additional teachers to receive professional development through a CASE Institute. NAAE and CASE are pleased to announce the opening for a full time contractor position to write the new CASE Food Science and Safety course. This is a one-year contract with annual renewal based on performance.For a complete list of requirements and job specifics, please review the application at this link. Completed applications are due April 1, 2013. The anticipated starting date for the contract is June 1, 2013 (variable based on the availability of the successful applicant). From Friday, March 22 - Nutrients hit the headlines as CAST releases a new research paper in Washington, D.C. Opinions about drones, gmo labels, and pesticides light things up, and the Bovine Diva talks about beef. Check out these and many ag-related links on Friday Notes.The Council for Agricultural Science and Technology's (CAST) weekly online newsletter, Friday Notes, is available free due to a grant from WinField (a Land O'Lakes company). Each year AgCareers.com puts together a review of employment trends in agriculture. The report covers top demand career types, industry types by geographic region, educational requirements, etc.Follow this link for the 2012 report, a quiz, and a link to previous years' reports. Also from AgCareers.com and Illinois FCAE (Facilitating Coordination in Agricultural Education), are ag career profiles on 58 high-demand careers in agriculture. Each profile is a PDF fact sheet with current information. You can download the profiles here.FCAE has also developed an app to help students explore careers and figure out which career might be right for them. Search for it under Ag Careers in the Apps store. For the second year in a row, the Monsanto Fund is gearing-up to invest $2.3 million to strengthen math and science education in rural communities through America's Farmers Grow Rural Education. Now until April 15, 2013, farmers can nominate their favorite, local public school district. Administrators of nominated school districts can then submit grant applications through April 30, 2013 to enhance their math and/or science programs. Farmers in 1,271 counties across 39 states have the opportunity to grow the next generation by nominating a rural, public school district to apply for a grant of up to $25,000. Grants will be awarded based on merit, need and community support. The more farmers who nominate a school district, the more it demonstrates community support and strengthens the school district's application. To learn more, please follow this link. Through April 23, 2013, Monsanto is offering farm moms across the nation the opportunity to win up to $10,000 through its annual America's Farmers Mom of the Year Contest. Nominate your favorite farm mom by sharing a brief essay explaining how she contributes to her family, farm, community and the agricultural industry. To nominate, please follow this link. Since she started teaching agriculture, Carmelita Goossen has turned around a declining program and discovered the power of inquiry-based learning. She's single-handedly created curriculum that draws on both her students' cultural backgrounds and connections with the omnipresent meat industry in her corner of southwest Kansas. She's a certified ESL instructor, a DuPont National Agriscience Teacher Ambassador, and was this year a national candidate for Outstanding New Career and Technical Educator of the Year. That was the first five years. Imagine what she'll do in the next 25. Read more about Carmelita and see pictures of her program. "Be curious always! For knowledge will not aquire you; you must aquire it." NAAE and CASE are pleased to announce the opening for a full time contractor position to write the new CASE Food Science and Safety course. This is a one-year contract with annual renewal based on performance.CASE Food Science and Safety is co-sponsored by the generous contributions of Cargill, Inc. and General Mills, Inc. as part of a special funding project of the National FFA Foundation. Food Science and Safety is a yearlong specialization course preparing students for career and college endeavors in the food science industry. This new course will be part of the Animal Science and Plant Science pathways included in the CASE program of study framework.CASE will be seeking qualified applicants who have teaching experience and excel at writing meaningful lessons for high school aged students. For a complete list of requirements and job specifics, please review the application at this link. Completed applications are due April 1, 2013. The anticipated starting date for the contract is June 1, 2013 (variable based on the availability of the successful applicant).For more information and other inquiries, please refer to the CASE website. The Mosaic Company, the world’s largest supplier of phosphate and potash, recently strengthened their commitment to CASE by increasing the number of scholarships they will provide to teachers who want to attend CASE Institutes. Their total committment of $100,000 in scholarships will pay for about 35 teachers to attend CASE institutes. CASE wants to say thanks to Mosaic for removing the barrier of funding that might cause some teachers to not be able to participate in CASE. From Friday, March 15 - Ag Day news including the essay winners; controversies including Big Gulps in court; and a “Ranching Awesome” video you might enjoy. Check out these and many ag-related links on Friday Notes.The Council for Agricultural Science and Technology's (CAST) weekly online newsletter, Friday Notes, is available free due to a grant from WinField (a Land O’Lakes company). FFA members from the Des Moines Central Campus Agriculture Academy – an outstanding agricultural education program and FFA chapter encompassing all 18 high schools in the greater Des Moines metro area -- recently attended an event with USDA Secretary Tom Vilsack celebrating the Wallace-Carver Internship Program. Secretary Vilsack gave an address celebrating agricultural and STEM education, two programs that the World Food Prize and the Wallace-Carver Internship Program hope to assist. Click here for photos and more information! Am I grading too hard? The application deadline for New Century Farmer participants closes March 15th! Collegiate students can start their application here to be considered as one of the 50 conference attendees who are pursuing a career in production agriculture. Students will be able to discover how producers can profit from value-added products and the use of technology producers, explore new farm business opportunities, discuss topics including: farm succession, sustainable agriculture, new and emerging farm machinery, international trade, and ag marketing, establish a network with a select group of business professionals excited about pursuing a career in production agriculture, grow personally and professionally and create a vision statement for your operation. For more information visit the collegiate / New Century Farmer websites or email Ryan Amaral. There are several opportunities available right now to help fund your CASE program and training. The deadline for all these opportunities is March 15. Details on all opportunities can be found atwww.case4learning.org, and any questions can be directed toMiranda Chaplin. Program implementation grants are now available through a generous sponsorship from DuPont® Pioneer® as a special project of the National FFA Foundation™. These grants will allow NAAE members to participate in a CASE Institute (or Field Test Institute), purchase equipment and/or software from the CASE Store to implement a CASE course, and purchase CASE End-of-Course student assessments through the CASE Store. Two scholarships are available for female agricultural education majors to attend a CASE Institute this summer and become certified to teach the CASE curriculum. Please share this opportunity with eligible students. These scholarships will allow NAAE members to participate in a CASE Institute (or Field Test Institute). Scholarship funding priorities (but not limited to) for this program are for Florida or Louisiana teachers, teachers to attend a CASE Institute if scholarship commitment was matched by school system or community entity to provide funds for travel, or for teachers to attend either the CASE Institute for Animal and Plant Biotechnology hosted by the University of Florida, June 16-27, 2013 or Principles of Agricultural Science - Plant hosted by McNeese State University, June 9-20, 2013. These scholarships will allow NAAE members to participate in a CASE Institute (or Field Test Institute). Scholarship funding priorities (but not limited to) for this program are for Indiana teachers, enrollment for any Principles of Agricultural Science - Plant CASE Institute, or enrollment for the Principles of Agricultural Science - Animal CASE Institute at Beech Grove City Schools in Indiana. From Friday, March 8 - Surf through the waves of ag news ranging from the antibiotic controversy to an actual surfing pig. Check out these and many ag-related links on Friday Notes. "If you go to your grave without painting your masterpiece, it will not get painted. No one else can paint it. Only you." NSTA is offering second- through fifth-year middle and high school science teachers the opportunity to participate in the New Science Teacher Academy, a year long professional development and mentoring program co-founded with a grant from the Amgen Foundation. Emphasizing quality science teaching, enhanced teacher confidence, classroom excellence, and solid content knowledge, participants (Academy Fellows) enjoy top-notch face-to-face and online support and access to comprehensive educational resources. Visit www.nsta.org/academy to learn more or to apply by August 1, 2013. Applicants must reside in the United States. Applicants must be entering their second through fifth year of teaching. Applicants must be working a schedule with 51% of their classes in middle or high school science. National Boards - helpful advice? The National FFA Alumni Association and Dr. Jeff Magee are offering a great series of webinars. Dr. Magee is an acclaimed leadership coach who has numerous prestigious clients and success in motivating companies and individuals to grow their potential. We are thrilled to offer an evening with Dr. Magee once a month on the first Tuesday of every month. Get Registered TODAY! Don't miss our kick off webinar Tuesday, March 5 at 7:30 p.m. EST. Do you want to learn more about creating and marketing a Successful Recruitment Program? Reasons: March is when some state convention start, the start of spring, it's a great time to Spring your FFA Alumni Affiliate into action with the proper tools to market themselves. This is also a great time to help your FFA members prepare for contests, again making FFA Alumni relevant and present to current FFA members. From Friday, March 1 - The sequester and agriculture; horsemeat info from the horse's mouth; and goats singing with Beiber, Bon Jovi, and Swift. Check out these and many ag-related links on Friday Notes. Program implementation grants are now available through a generous sponsorship from DuPont® Pioneer® as a special project of the National FFA Foundation. These grants will allow NAAE members to participate in a CASE Institute (or Field Test Institute), purchase equipment and/or software from the CASE Store to implement a CASE course, and purchase CASE End-of-Course student assessments through the CASE Store.